Indoor air quality is 5-10 times more polluted than the outdoor air. Poor quality of indoor air is one of the main reasons of asthma triggers, breathing problems and also lead to long term breathing problems. However, many people don’t realize the fact that only vacuuming or washing will not keep the indoor air clean. The detergents, cleaning products that you use and many home appliances also lead to indoor air pollution. 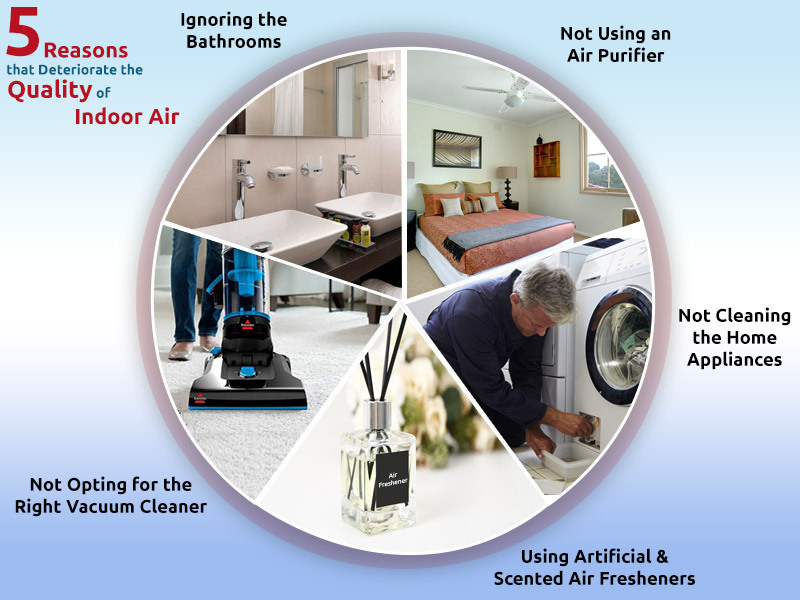 Most of us are not aware of these sources of indoor air pollution. So, to help you out, we discuss a few areas in your home that need regular cleaning to avoid indoor air pollution. While we make it a point to thoroughly clean our homes, many of us tend to ignore the air quality in the bathrooms. Inspect the hidden areas such as under the sink to check for black mold and clean any deposits in the bathroom. Mold not only affects your respiratory system but also can be toxic in many other ways. If you notice any deposits in your bathroom, clean them immediately. After removing the deposits, assess the area to check whether you need to repair anything which is leading to mold growth. In addition, run the ventilation fans for approximately half an hour after showers to prevent mold growth. This is another reason you have poor quality indoor air. 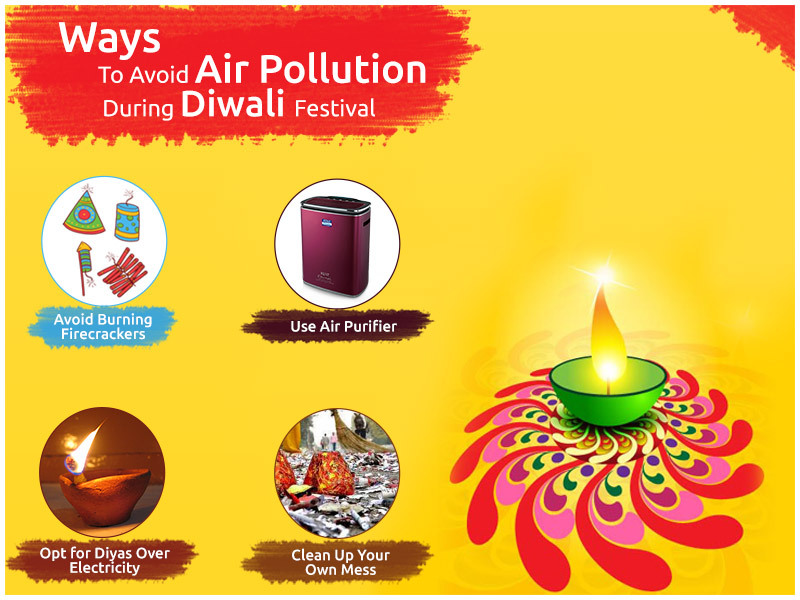 Air purifiers play an important role in removing dust and suspended particles from the indoor air so that you breathe fresh. 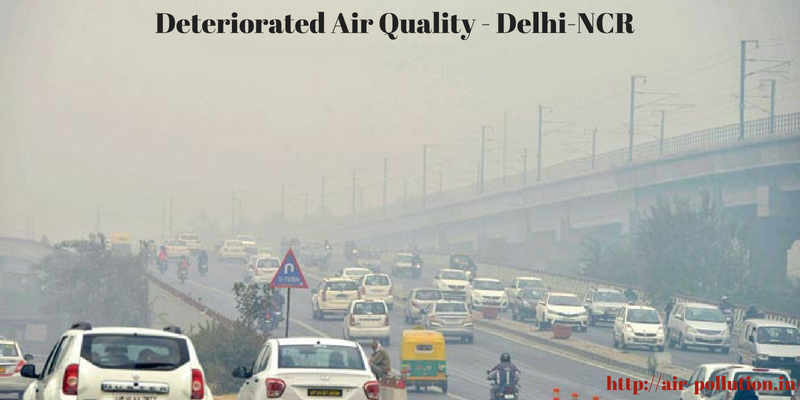 HEPA air purifiers are also helpful in trapping fine particles that are present in the carpets, sofas and other flat surfaces. Installing an air purifier is an essential step to keep the indoor air clean and prevent breathing problems. Home appliances such as humidifiers, air conditioners and vacuum cleaners come with air filters that keep the indoor air clean. These home appliances circulate air and have filters that need regular cleaning. However, most of us skip cleaning the air filters which have a deteriorating effect on the indoor air. When these filters are not cleaned regularly, the duct and fans leak dirty air triggering allergies and asthma. Artificial air fresheners, scented candles, incense sticks are used by almost everyone. However, do you know that these artificial air fresheners can affect the indoor air quality? 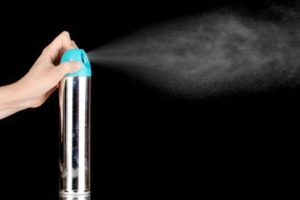 These products have too release fine particles in the air which cause irritation in the lungs, throats leading to asthma and breathing problems. Instead of using artificial fresheners, it is advisable to choose natural options such as orange peels. Vacuum cleaners have become a necessity for your home. 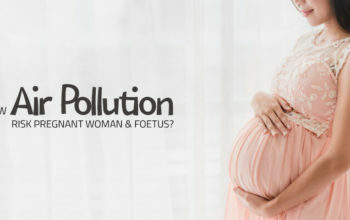 However, many people look for affordable vacuum cleaners which can do more harm than good. Go for premium, HEPA vacuum cleaners which use top notch air purification methods. These vacuum cleaners also have the capability to trap finest of dust particles. Ensure that you clean the vacuum cleaner regularly and prevent the bags or canisters from over-filling to avoid indoor air pollution. Keeping the indoor air quality fresh and pollution free is a continuous process. 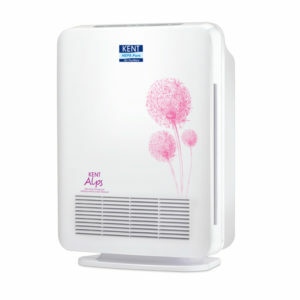 Investing in the right air purifier, using the right cleaning appliances will help in maintaining the indoor air quality. Taking care of the points mentioned above can make the task of maintaining indoor air quality easy and keep away allergy triggers.